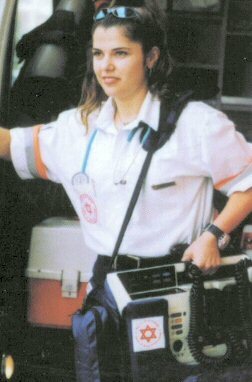 The work that the MDA doctors, nurses, paramedics and trained volunteers undertake it extremely important. 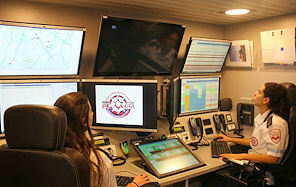 By responding to terror attacks, car accidents and emergency situations they save countless lives. 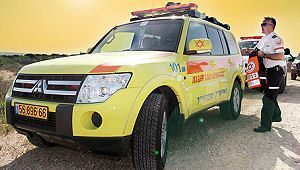 Find our more about the MDA emergency services, intensive care, blood services, the “wish ambulance”, training, the role of women in MDA and the other services available through MDA Israel. 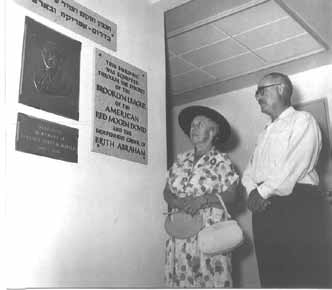 Magen David Adom in Israel was born twice: the first time in 1918 at the end of WWI and the second time in 1930. The spirit of volunteerism that swept Jewish youth in Palestine eager to help the British in WWI also gave rise to MDA in Jaffa and in NY at the same time. 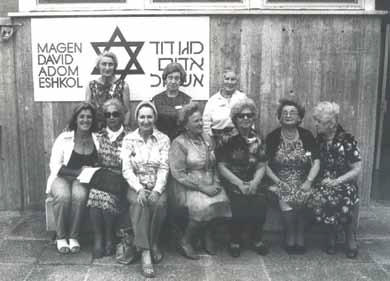 It was decided to establish a Jewish body based on the example of the Red Cross. 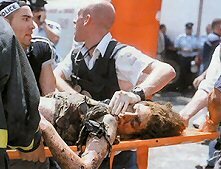 The body would operate as a volunteer organization, in which doctors, nurses, paramedics and other volunteers would serve. Its purpose would be to offer medical aid to soldiers serving in the Jewish regiments as well as to aid the population in case of a national disaster. In an appeal to Jewish youth to volunteer in the formation of MDA, the founders urged them to give of themselves, claiming a great national human value for the organization. “We must not entrust the care of our heroic soldiers to the sons of a foreign nation speaking a foreign language when illness strikes, or when they are wounded on the battle field……Not in the name of a foreign symbol or under a flag of foreign holiness will they utter consolations to our soldiers lying on the sick-bed…..” About 500 young people volunteered for the organization at the time of its founding. However, only a very few were actually chosen to go out to the front to aid the soldiers of the Jewish brigades. In May 1921 the Jewish brigades were disbanded and MDA along with them. 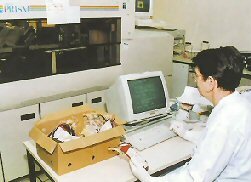 However, the medical department, the spirit of the organization, continued to operate and 9 years later the organization would be re-established in Tel Aviv. Following the period of bloody riots in the year 5,681 (1921), large numbers of Jews moved from Jaffa to Tel Aviv. Waves of the Third and Fourth Aliya (immigration of Jews from abroad) brought tens of thousands of Jews to Israel, a large number of whom settled in Tel Aviv. 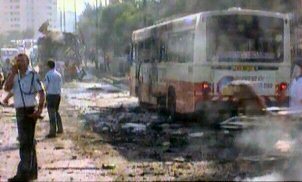 However, the rapid organizational development of the city, large number of residents, laying of infrastructure, construction of buildings and heavy traffic led to an increase in accidents. There was also a rise in the incidence of bodily injuries due to the quickly developing industry. These injuries caused the officials of the first Jewish city to consider the matter of evacuation of the injured to hospitals and providing first aid. 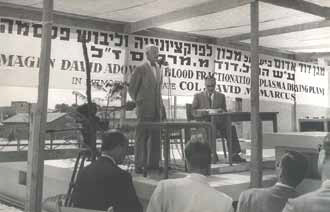 The father and progenitor of the association for rapid aid was Dr. Meshulam Levontin, who raised the issue of care and evacuation before the city leaders. Dr. Levontin proposed the purchase in Egypt of two sets of bicycles supporting a bed for the purpose of transferring the sick and injured in case of disaster. His proposal, however, was not approved. At the same time, Chaim Halperin returned from Egypt, where he had been sent on a mission for the fire fighters. 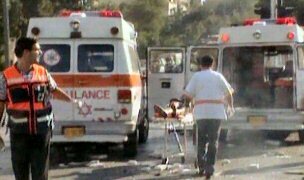 There he saw a modern ambulance and was determined to purchase an ambulance for Tel Aviv. He contacted Dr. Levontin and on June 7, 1930, Dr. Levontin, Chaim Halperin, M. Rabinowitz, M. Frankel, Dr. Eliyahu, Dr. Barzel, and C. Leibowitz met in a café on the Tel Aviv waterfront and decided to set up an association for rapid aid, “Magen David Adom, Tel Aviv”. Announcements were published in newspapers calling for residents to join and volunteer for the association. Members of the association began first aid training for the residents taught by Dr. Alotin, who had previous experience in first aid training. At its inception, the volunteer regiment in Tel Aviv numbered 100 volunteers who were divided into three companies. The graduates of the first aid courses signed a commitment to volunteer for the association for one year as on-duty volunteers at the MDA station. 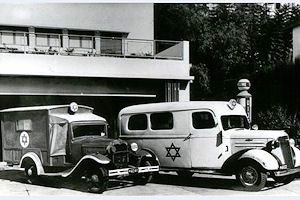 At the same time, intensive activity began to raise money for the purchase of ambulances by the “sale of ribbon”, and on June 24, 1931, the first ambulance set out from Dr. Levontin’s house to the home of the mayor of Tel Aviv, Meir Dizengoff. MDA expanded its operations within the framework of the renewed communities in Palestine (Eretz Yisrael). 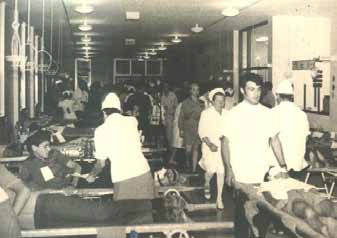 In 1947, 24 MDA associations were in operation throughout the country equipped with 28 ambulances and comprising approximately 5,000 volunteers. As soon as the organization was established, societies of MDA Friends abroad began to become active. These groups have helped raise funds to set up an array of lifesaving vehicles, blood services and stations and to purchase medical equipment. The society of American Friends was established during the 1930s and notes 70 years of activity and has, in fact, accompanied MDA since the day it was founded. The society of British Friends notes 60 years of activity. Today some 20 societies of MDA Friends are active around the world, raising funds for resources required by MDA for its current operations and for development of life saving operations. Today MDA operates 11 operational regions with more than 115 stations and dispatch points all over the country. In these stations some 300 standard ambulances and 150 Mobile Intensive Care Units, special emergency vehicles can be found, in addition to some 200 lifesaving vehicles which can be found in remote communities and factories operated by MDA trained volunteers. Volunteers have founded and been active in MDA since the organization got under way. Today over 13,000 highly trained volunteers are active throughout the country, of which half are youth volunteers serving as part of the crews on ambulances and Mobile Intensive Care Units and “MDA cadets”, who represent MDA’s humanitarian youth movement activities. 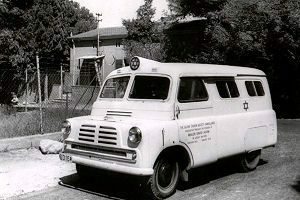 During the early 1970’s, MDA was the pioneer organization in Israel developing the Pre-Hospital Advanced Life Support System, operating Mobile Intensive Care Units and training Advance Life Support Medics and Paramedics. 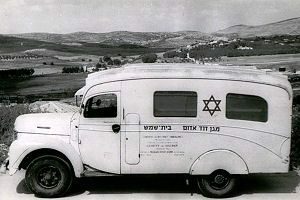 In 1950, the Knesset ratified the Magen David Adom Law, designating the organisation as Israel’s National Red Cross Society. 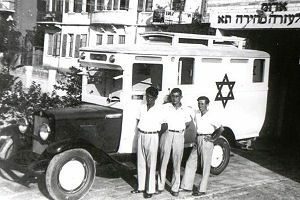 Magen David Adom has since played a major role in providing lifesaving services during times of war, terrorist attacks, and for accidents and emergencies in peace-time. 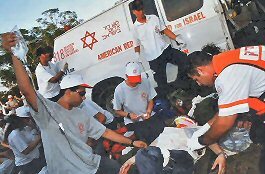 Today, Magen David Adom operates to the standards of the International Committee of the Red Cross and was officially grated membership to the organisation in 2006. 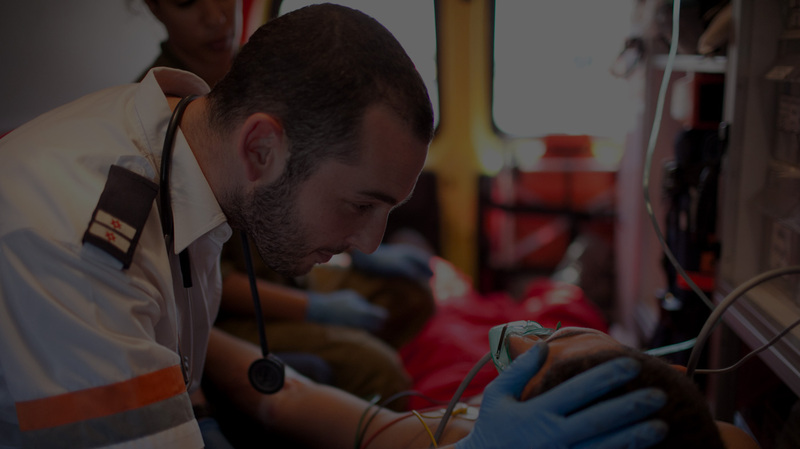 Donations from supporters, such as Magen David Adom Australia (and its constituent State bodies), enable the organisation to purchase ambulances and lifesaving equipment and supplies. 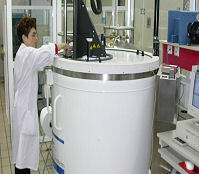 in collaboration with leading Israeli medical centres, is aimed at building a public facility which will store a large inventory of Stem Cell units, suitable for Bone Marrow Transplantation (mainly for under-represented minorities) so as to increase the chances of patients in Israel and worldwide to undergo Stem Cell Transplantation. 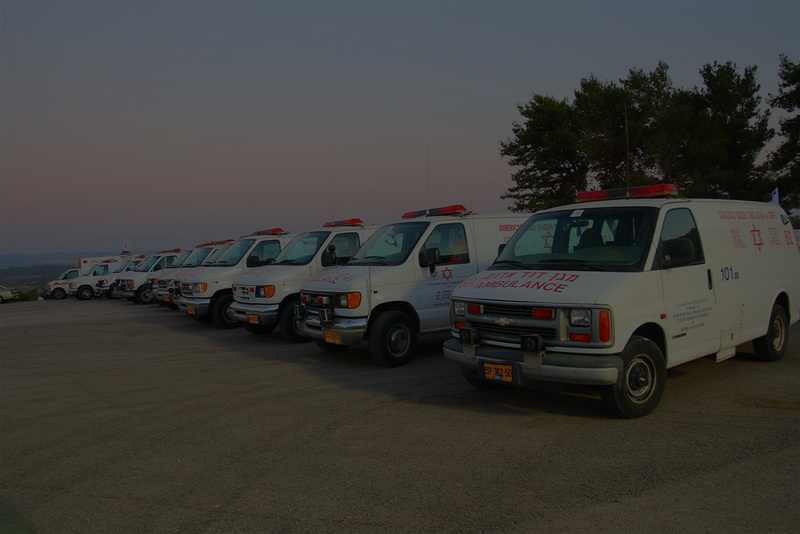 Magen David Adom has over 100 First Aid Stations deployed throughout the country, from Metulla in the north to Eilat in the South. These First Aid Stations serve as bases for most of MDA’s ambulance fleet, plus almost 30 four-wheel drive ambulances, over 100 MICU’s (Mobile Intensive Care Units) and ICA’s (Intensive Care Ambulances) and 20 MRCV’s (Multi-Casualty Response Vehicles). Eleven of these stations serve as regional communications dispatch centres. A mezuzah-affixing ceremony, held on 29th June 2009, marked MDA Australia-sponsored MDA Yokneam Station becoming fully operational. The Station, made possible through the generosity of donors around Australia, will service the City of Yokneam, located at the base of the Carmel Mountains, 21 kms from Haifa, with a population of over 20,000 which, over the next ten years, is expected to grow to over 60,000. It is one of the most rapidly growing cities in Israel. Highway 6, a major Israeli artery, crosses through Yokneam and the new station’s site, adjacent to Highway 6 and Road 70, ensures accessibility to all roads and towns in the Yokneam vicinity. 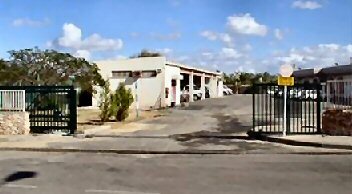 The site for the new station has been generously donated by the Council of Yokneam. The structure of the building emphasises its functionality. It is simple, clean and identifiable, comprising a long, rectangular, brick building with a big arch from which the ambulances are despatched. 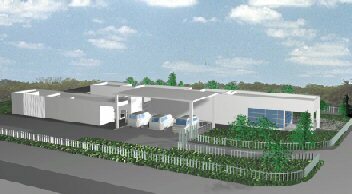 The Station’s strategic location, together with its specific design, saves precious seconds by placing the ambulances in the front, facing outwards. Renovation Commencement: We are currently raising funds for this project! MDA Station Krayot originally went into service on 11th October 1988, having been constructed with funds raised and provided jointly by Magen David Adom Victoria, Western Australia and New South Wales. Establishment of this Station enabled the opening of a MDA Mobile Intensive Care Unit Centre serving Krayot and the surrounding area. During the past twelve months, this station has responded to around 12,600 operational activities – involving both standard ambulances and Mobile Intensive Care Units. In 2005, after 18 years’ service, the station underwent refurbishment. And thanks to supporters of MDA Western Australia, in 2008, the station was newly refurnished. And now, three years later, more refurbishment is needed to cope with the increasing demand on this station. When little Eritrean refugee, Yonatan, became separated from his biological mother and ended up in Israel, Magen David Adom’s Tracing Department, in cooperation with international agencies, began searching for his biological mother. Nothing in the world – not past experience, not briefings on the way to the rescue mission, not even live reports from the scene of one of the world’s biggest natural disasters in recent times – could prepare her for the profound difficulties of working in Haiti after the massive earthquake decimated the island nation. Click HERE to read Maayan’s story! 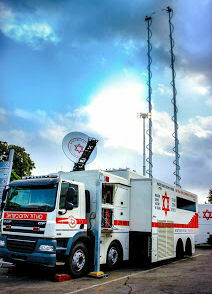 Within three days of the Tsumani disaster, Magen David Adom, following a request made by the International Red Cross, dispatched via air, urgent medical supplies in order to relieve the casualties of a devastated Sri Lanka. 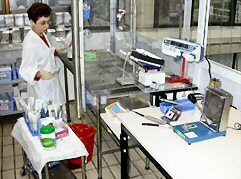 The cargo included 4,080 vials of Albumin (valued over US$100,000) that were distributed amongst hospitals in the Sri Lankan capital, Columbo. 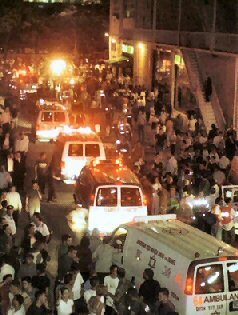 The donation was welcomed by the Sri Lankan authorities, and were put to immediate use to relieve the struck nation. Albumin is protein that accounts for 55 percent of the total protein in blood plasma. Its major function is to help maintain the osmotic pressure between the blood vessels and tissues. It is vital during this overwhelming calamity, as protein levels drop as the result of severe wounds, and the casualties similarly suffer from drastic malnutrition and trauma. Within two days, Magen David Adom Station-by-Station collections totalled over 15 tons of dried food products and mineral water. The “Ein Gedi” Mineral Water plant donated 3,000 1.5 litre bottles. Several food companies and wholesalers from the Arab community also donated hundreds of kilograms to the effort which were collected at MDA Stations in the lower and western Gallilee and Jerusalem regions. MDA volunteers and staff opened collection centres in supermarkets and shopping malls to collect further donations from the Israeli public. The food products and mineral water were all dispatched to Sri Lanka within days of the Tsunami disaster. 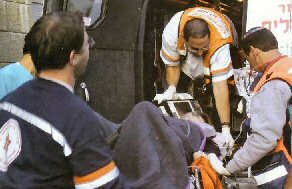 In 1978, Magen David Adom became the first organisation in Israel to develop advanced life support techniques outside hospital walls – within Mobile Intensive Care Units. Resuscitation is one of the most important activites within the Emergency Medical Services system, saving the lives of patients with cardiac arrest. 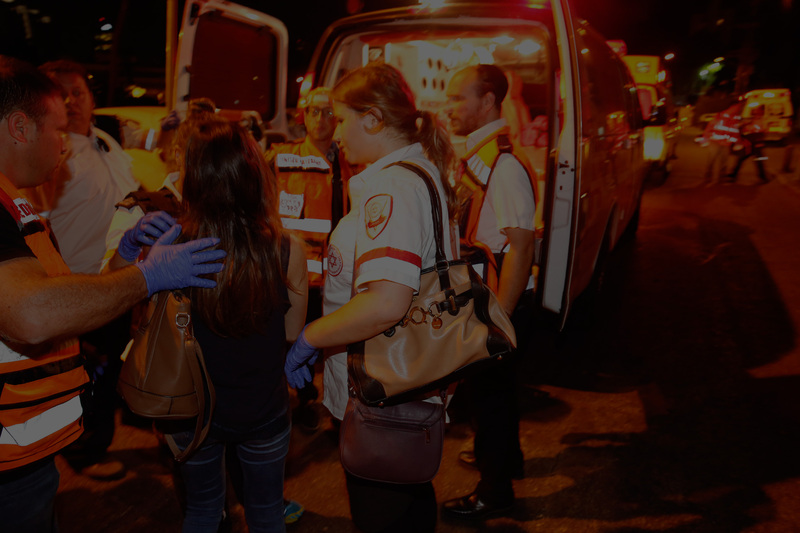 More than 3,000 patients are resuscitated by MDA teams in Israel each year, of which 40% are successfully resuscitated and admitted to hospital with a pulse. 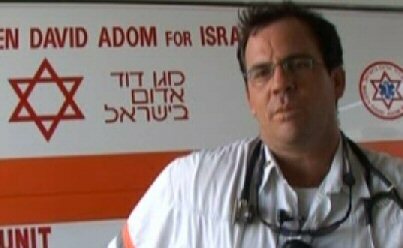 In total, more than 300 patients who are clinically dead are saved by Magen David Adom crews every year. 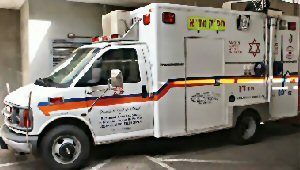 Magen David Adom’s Medical Division is responsible for the training of all MDA personnel who work in the Mobile Intensive Care Units – Emergency Medical Technicians, paramedics and doctors. An Intensive First Aid and Resuscitation Course comprises 44 hours’ training. MDA’s equipment, drugs and medical protocols are the most modern and up-to-date in the world, rivalling those in the Emergency Medical Services systems of the United States of American and Europe. 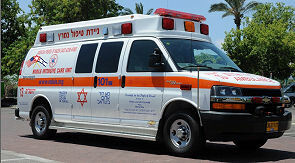 Magen David Adom deploys over 100 Mobile Intensive Care Units and 700 ambulances within Israel. 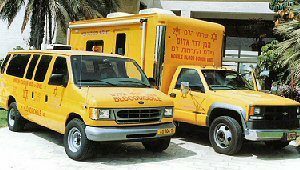 The Wish Ambulance is a Magen David Adom Israel project whose purpose is to fulfill the wishes of terminally ill patients. Using a specially-equipped ambulance and a caring team of medical volunteers, patients are taken, on their request, to places which have a particular meaning to them. The project is an opportunity to improve the well-being of patients, supplementing the medical treatment which they receive in the hospital or a hospice. The idea at the core of the project is to allow individuals, who know that their remaining days on earth are limited, to realise a cherished dream that can be accomplished in a day (and dependent on his/her mobility.) Making this wish come true is facilitated by a specially-equipped ambulance complete with a wheelchair and a medical team which has undergone specialised training. 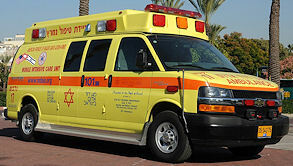 The ambulance enables patients who have lost their mobility to take part in a family celebrations, spend time in spots of natural beauty, visit places of nostalgic significance, attend cultural events (for example, the Israeli Philharmonic Orchestra has declared that it will be happy to respond to requests for classical music), or visit with relatives or friends likewise immobilized, just to name a few reasons. Many of the patients feel helpless and long to reconnect with society. It is vital to provide them with the possibility achieving an important and meaningful triumph over disability. This service is offered to all patients free of charge, regardless of race, religion or nationality, and with a warm and heartfelt embrace. Tel Aviv Sourasky Medical Centre, with the support of the Israel Cancer Association. Its goal is to save lives by providing stem cells for transplantation and by developing breakthrough technologies that will offer cures for patients with cancers and severe genetic diseases. As a relatively small and closely interrelated community, worldwide Jewry shares a genetic relationship that makes matching its genetic codes significantly simpler than matching with unrelated individuals in the general population. The same is true for patients from other minorities who live in Israel. 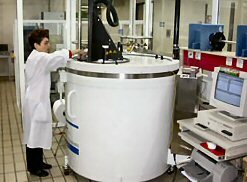 The work of the Israeli public Cord Blood Bank is targeted to improving the survival rates among patients who are Jewish, or from other minorities which are under-represented in transplantation registries worldwide, by increasing the likelihood of finding a matched stem cell unit. Donated stem cells must be of a tissue type that closely matches that of the patient. Since tissue types are genetically inherited, a compatible donor will most likely be a relative or someone who shares the patient’s ethnic background. Stem cells from bone marrow, peripheral blood, or cord blood can be used for transplantation. Donations can be given by a related match (sibling), unrelated match (a volunteer donor outside the family) or unrelated cord blood unit from the cord blood bank. Most of MDA’s medics start out as student volunteers and the vast majority of MDA’s staff offer their time for free, which is a testament to their talent and dedication. And it’s not just MDA medics who need training. Every bus and taxi driver in Israel MUST also hold a First Aid Certificate from Magen David Adom. Training is an integral part of MDA’s work. Medics and paramedics are required to learn lifesaving skills. Youth volunteers and ambulance drivers also require specialist training. A significant amount of training equipment is required to train medics to deal with everything from everyday incidents to mass casualty situations and to ensure that MDA’s Blood Centre continues to be the most highly regarded in the world. A basic training course in first aid for youth is of 60 hours’ duration and, for adults, it is 80 hours. Within the framework of these courses, volunteers acquire a proficiency in heart-lung resuscitation, approach and treatment of patients, treatment of road and work accident victims, drowning, electrocution and the provision of first aid to infants and children. Training is an on-going process. On average, each adult volunteer partipicates in 700 hours basic, specialist and refresher course time, while youth volunteers undertake, on average, 250 hours of study. 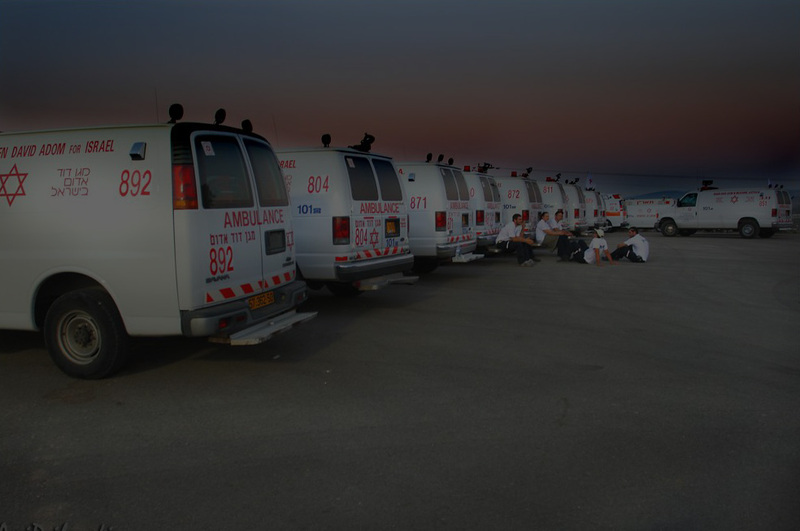 In times of peace, Magen David Adom operates standard ambulances, extending basic life-support treatment to the sick and wounded, transferring them to hospitals. 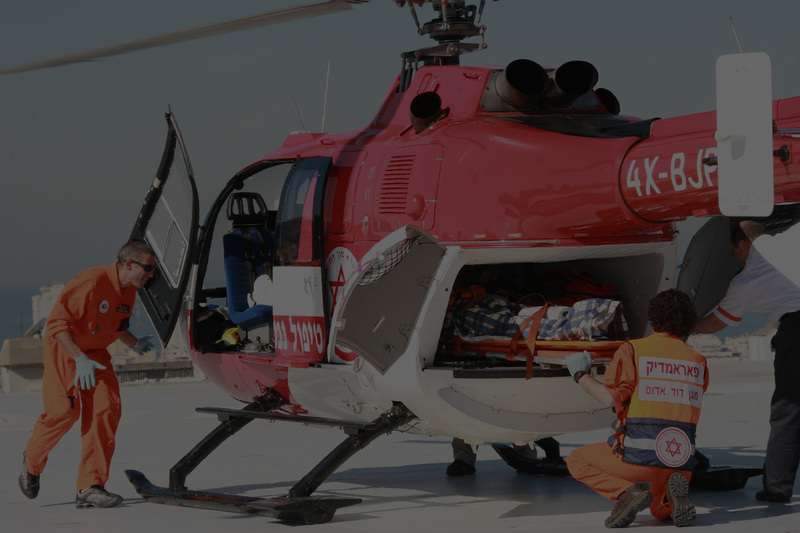 During emergencies, Magen David Adom assists the Army Medical Corps in transferring Israel Defence Forces soldiers, who have been evacuated via helicopter, from airports and landing fields to hospitals.